Baby Mustard Restaurant, located in Tra Que vegetable village with two amazing views: the poetic river and the beautiful garden, is a bamboo and coconut leaves house close to nature. Why Baby Mustard Restaurant is special ? Baby Mustard is a family owned and managed restaurants, primarily by a daughter, mother and grandmother team. 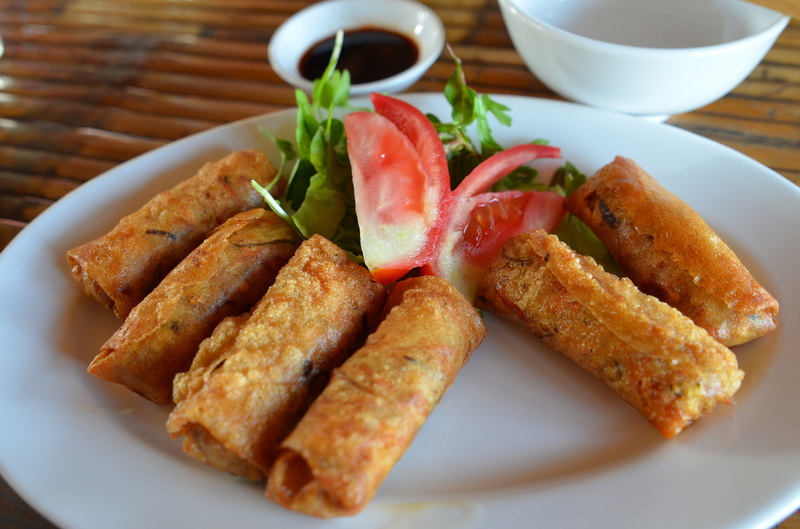 The restaurant offers the Vietnamese village cuisine with many dishes are only found in Baby Mustard restaurant. Opened in 2012, Baby Mustard also offers cooking classes, which includes a trip to the market to pick out fresh ingredients for your class, as well as a stroll around the Tra Que vegetable garden to pick fresh herbs for your meal. Baby Mustard is a wonderful escape into the rural countryside. Enjoy a picturesque open-air dining experience with traditional, delicious meals. How to get to Baby Mustard Restaurant? 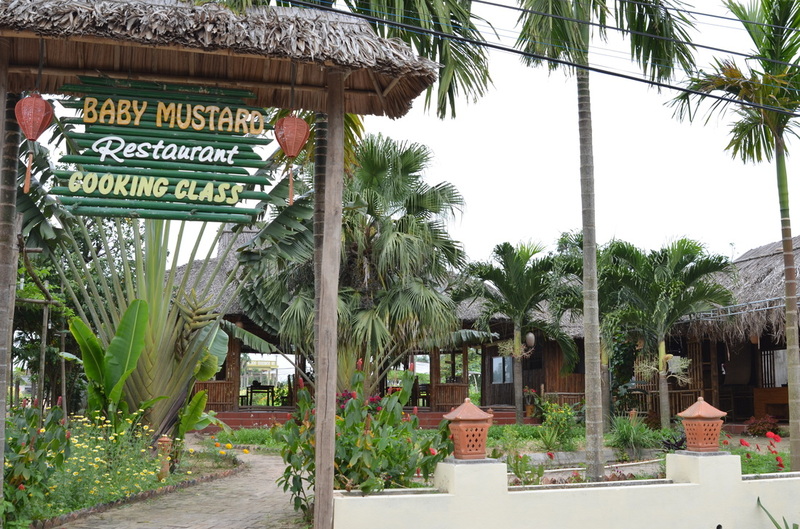 Baby Mustard Restaurant is located only 3.5 km from downtown Hoi An. You can take a bike or motorbike to reach the place. You can even watch the chefs prepare your meal through the open kitchen. My girlfriend and I went to this place on our first night in Hoi Ann as it was round the corner from our homestay. It was down what looked like a country road and when we arrived we were the only people. 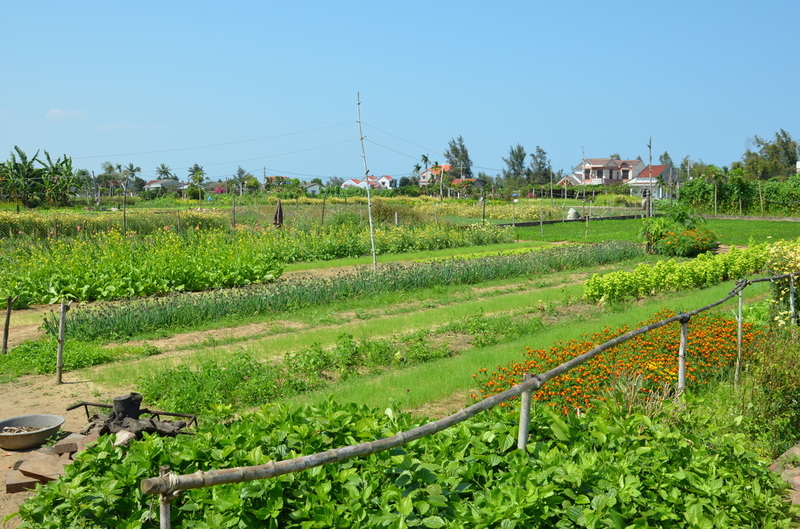 However, the place is incredible, situated next to a vegetable farm. We had the steak and mackerel in banana leaf and it was amazing. So fresh and tasty. A lovely setting too in a bamboo style canopy with matching. We could see the chef picking the vegetables out from the farm. A wonderful meal and would highly recommend to visit. The atmosphere of this place is amazing. Such a beautiful and peaceful place, so quiet, close to the fields and with a nice garden. The staff is really really friendly. We went there three times during our time in Hoi an. Can highly recommend sesame pork and the beef meals. Also the secret house drink is the best I have had. Prices are very fair!! Quality is very good!